I know most of you don't really play games but I thought this game in particular would be a nice addition to the forums. 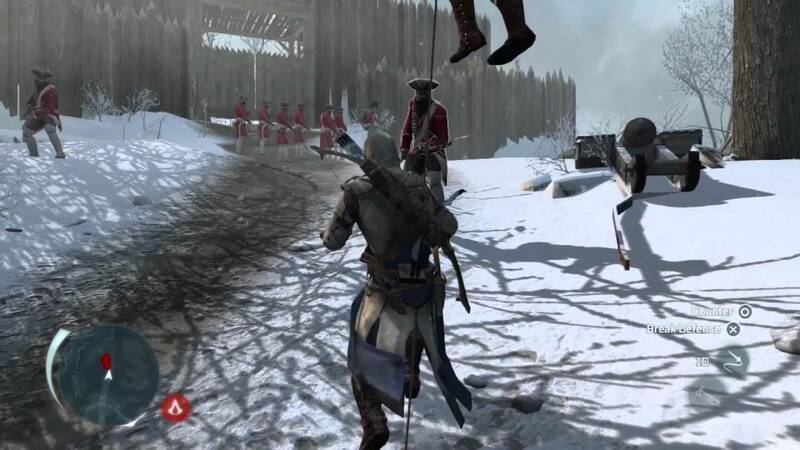 The game is called Assassin's Creed III and it deals with American and British politics, culture, religion and the Revolutionary War. I think, It will be a very interesting and fun take on the time period. However, you all will have to play all the previous games to really get a handle on what the series is really all about. I think a video will definitely do this thread some good. Enjoy and see if we can't spark a discussion. So looking forward to this game!!!! I pre ordered it months ago. It will be interesting to see how Canadians see our revolution. Chances are it will be more pro America then is it was made in this country and thats sad. It definitely will be pretty interesting to see how the Canadians see our revolution. Just as an aside though, thanatos144; have you by any chance played the other four games? If you haven't, I highly recommend you play them first so that you're up to speed. All I know is that I will be pre-ordering the game myself. This series has definitely been one of my favorites this whole generation. I think it's a little silly to put a guy with 12thc weaponry into the late 18th. Unless you're positing him to have magical powers there is a reason why guns were the main weapons on most battlefields even then. As far as being a guerrilla that might work out better but even there I think a solid Iroquois would take him down. Understood. I have all but Revelations and quite honestly, I still have to get that one sometime in the future. I get it though. The endings aren't much but they leave a lot open. Still, it's perhaps one of the best series of this generation. Actually, the Protagonist (Connor) is part Native American and part British so your question is answered. Have you played it? How DOES a Hashishin (I assume that's who they're modeled on,) do against an Iroqois Rotisken’rakéhte,. It still wouldn't be fair, I don't think, as Hashishin were much more heavily armored, but it sure would be interesting. Man, here is a little gameplay video if you want to know how the assassin kills and who the enemies are. By the way, you will also have the ability to hunt the wildlife for subsistence and quests. If you pay attention to the video though, the real enemy is mentioned. Last edited by John Drake; 08-04-2012, 06:32 AM. I believe there are a couple alternate history games though I'm not sure which one they really are. If you want to know play the game. The sequence of him fighting on an open field of battle isn't realistic but the other stuff isn't an impossibility. Remember, a good musketman would get about three shots a minute. If you jump in their grill and make a smaller group blow their load it's all over. Muskets were really only good in large battles and they needed minimal training to make someone proficient compared to other weapons which makes them a much cheaper and more expendable soldier. I think a serious movie based on these games would do really well.